If the argument is about whether Kirk Cousins is worth $84 million guaranteed, the answer is far more nuanced than yes or no. 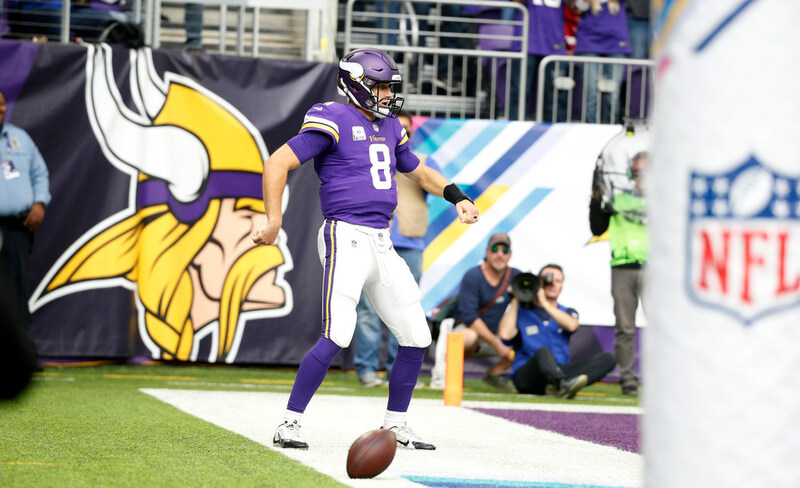 *Mike Freeman, a longtime NFL writer now with Bleacher Report, offered up a pretty hot take on Vikings QB Kirk Cousins after Sunday’s 30-20 loss to the Saints. He starts here: Is Vikings quarterback Kirk Cousins showing he’s worth $28 million a year? That he’s worth $84 million in guaranteed cash? Is that the kind of player anyone saw when they watched him Sunday night? Cousins was supposed to be a part of this group this season. Instead, he is so average he sweats margarine. So let’s ask that question again. Is Cousins showing he’s worth $28 million a year? That he’s worth $84 million in guaranteed cash? The answer is obvious. Here’s the thing: Freeman is right that there are things about Cousins that are troubling. He makes some risky throws. He has had a league-high 15 passes batted down. His fumbling is a ticking time bomb. And yes, the stats he racked up in the Saints game (31 for 41, 359 yards) were somewhat hollow — though it could also be argued that if Adam Thielen didn’t fumble the Vikings would have won that game and the whole opinion piece wouldn’t have been written. But he also fails to mention that Cousins (per Pro Football Focus) has been pressured on 155 dropbacks this season, most in the NFL. That accounts for 40.9 percent of his dropbacks; of QBs who have been full-time starters this year, only the Texans’ Deshaun Watson has been pressured on a higher percentage of dropbacks. Cousins has navigated the pressure quite well. In referencing how Washington is 5-2 after going with Alex Smith this season and how the Vikings were 13-3 a year ago without Cousins, he doesn’t note how much defense factors into both records. But the biggest crime is that the argument comes from a false premise. If the argument is about whether Cousins is worth $84 million guaranteed, the answer is far more nuanced than yes or no. Salaries can’t be measured in a vacuum, and value means different things to different franchises at different times. You pay $84 million because that’s the new going rate for a second-tier quarterback — which is what Cousins is — or at least that was the going rate this past offseason. In fact, it was actually less than the going rate since the Jets offered Cousins $90 million total and he took less to sign with the Vikings. You offer that kind of money because you are looking to finally stop a revolving door at quarterback that has plagued a franchise for more than a decade — a constant change at the most important position in sports that hasn’t stopped you from being competitive but has stopped you from meaningful long-term QB planning. And you offer that kind of money because you realize that even though you went 13-3 last season with Case Keenum having a career year, the combination of Keenum’s play, amazingly good health on defense and every imaginable scheduling break will not be a sustainable winning model in 2018 and beyond. Cousins, on pace to throw for more than 5,000 yards this season, has been everything advertised and more. He’s contributed to losses, but I dare say he’s contributed more to wins. PFF has him ninth overall in their QB rankings, while ESPN has him 11th in Total QBR. That’s right where he should be, and it’s higher than any other Vikings free agent QB option would be right now. He’s been far from perfect, but so much farther from a flop. *Tom Silverstein of the Milwaukee Journal-Sentinel tries to pump the brakes on the notion that the Packers are throwing in the towel on 2018 after trading safety Ha Ha Clinton-Dix and running back Ty Montgomery at the deadline Tuesday. Maybe it will be addition by subtraction. Time will tell. *Meanwhile, the Lions traded top receiver Golden Tate on Tuesday. This is a good time to point out that the NFC North is tightly bunched — the Vikings and Packers are sandwiched between the 4-3 Bears and 3-4 Lions — and two of those teams arguably got weaker or at least decreased their talent level. It’s also a good time to point out that of the eight remaining Vikings games, five are against division foes.